Koncept je založen na jednoduchém a zároveň důmyslném designu. Od prvního k poslednímu stehu je každý produkt vyroben užitím výjimečného kožedělného řemesla, které zajistí, že přetrvá generace. 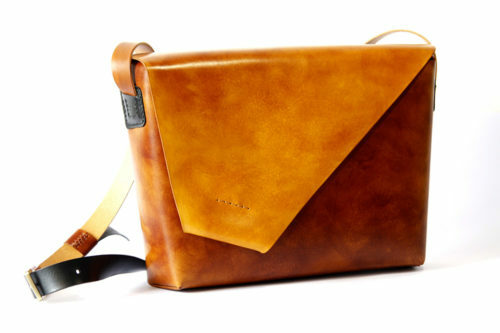 My plan is to recreate my studio at the venue, screening a video showing the whole process of making a bag. I’ll bring the tools and materials so they can get a fuller picture of my work. I’ll be open to discuss every detail with customers to meet their interests and curiosity as I want to share not just my products but also the atmosphere of my daily work process with them, letting them feel the story behind my work.